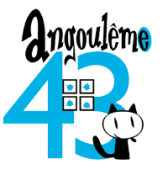 Alternative Comics has several artists past, future and present who will be official attendees of the 43rd Festival de la Bande Dessinée d’Angoulême January 28-31, 2016 and will be available to meet at the booths of their various European publishers. Details are below. Booth number is in parentheses. All are at the Le Nouveau Monde area on Place New York. Alternative Comics’ Associate Publisher David Nuss will also be attending the event. Matt Madden – A Fine Mess, Rosetta, Triple Dare, etc.